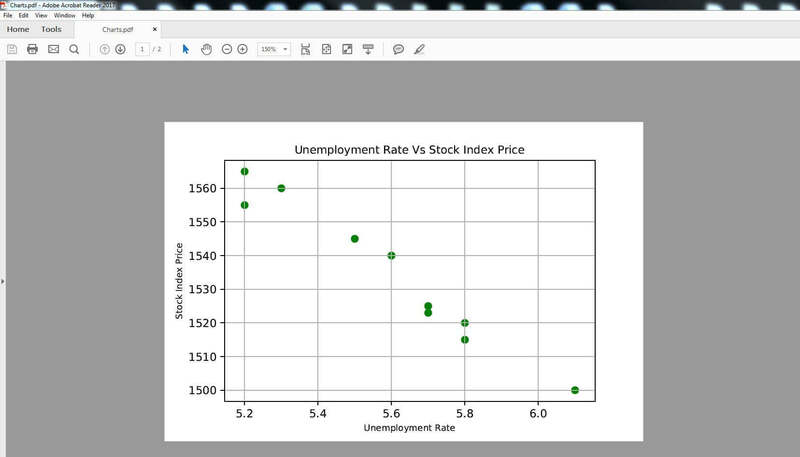 In this post, I’ll show you how to export matplotlib charts to a PDF file. 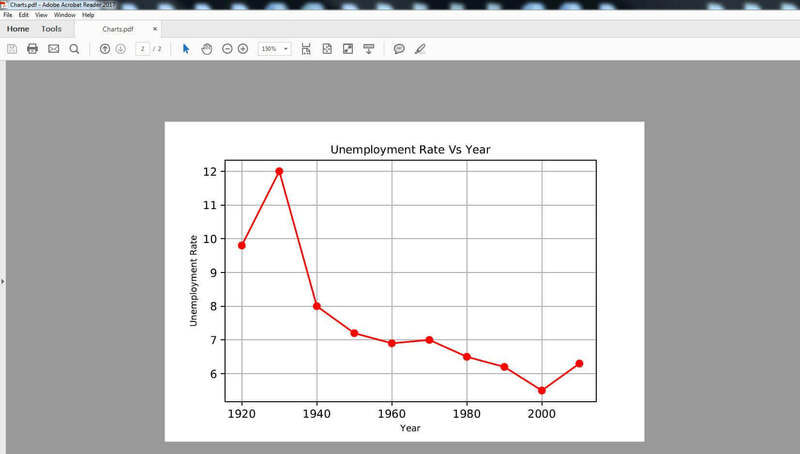 More specifically, I’ll use a simple example to demonstrate how to export scatter and line charts into the PDF file. Let’s start with the data-sets that will be used to create the matplotlib charts. You may then use a scatter diagram to depict such a relationship. Let’s now review the second data set. To create the scatter chart you’ll need to use the matplotlib module in Python. You may change the labels of the title and/or the axies within the above code. In the final section, we’ll see how to put together all the needed elements in order to export matplotlib charts to a PDF. You’ll need to modify that path to the location where you’d like to store the PDF file on your computer (in the Python code below, look for the line that starts with: ‘with PdfPages‘ to modify the path). Once you run the above code, a new PDF file (called Charts) will be created at your specified location. Once you open that file, you’ll see two pages, where each page would contain a chart. Don’t forget to put the ‘.pdf’ file extension (highlighted in blue) at the end of the path name. You may also create a simple tkinter GUI that will allow users to export the PDF file using a single click. As indicated before, you’ll need to change the path name (in the code below) to the location where you’d like to store the PDF on your computer. Press the ‘Export PDF’ button, and your PDF would be created at your specified location. We just saw how to export matplotlib charts to a PDF file. This process would work for any matplotlib chart that you may want to export to a PDF. You may also want to check the following source to learn more about creating matplotlib charts in Python.